Although born out of the sleepy town of Newmarket, ON, Rue Bella’s sound is anything but provincial. Bending the carnival menace of Tom Waits and gritty alt-rock acts like PJ Harvey and Hole, Rue Bella define themselves in a sultry marriage of disparate genres. Quickly making a name for themselves, Rue Bella won Rock 95's Local & Loud 2016 competition, going on to play legendary venues including The Horseshoe Tavern, Lee's Palace, and Mavricks Music Hall; opening for arena acts such as The Trews and Finger Eleven. Rue Bella released their first self-titled EP in 2016 to critical success. 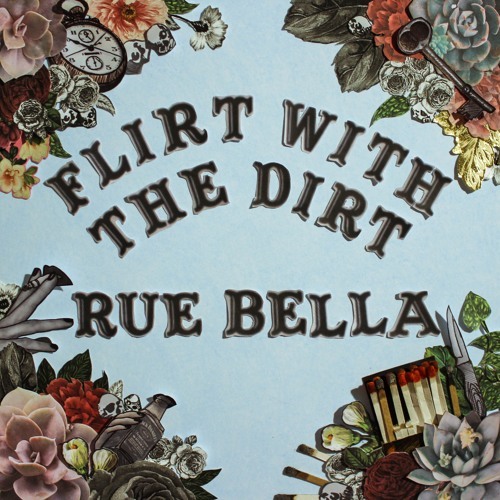 Their first full-length 'Flirt with the Dirt', produced by John-Angus MacDonald (the Trews, the Glorious Sons) is a snapshot of a band on a sonic bender, not quite ready to dry out.